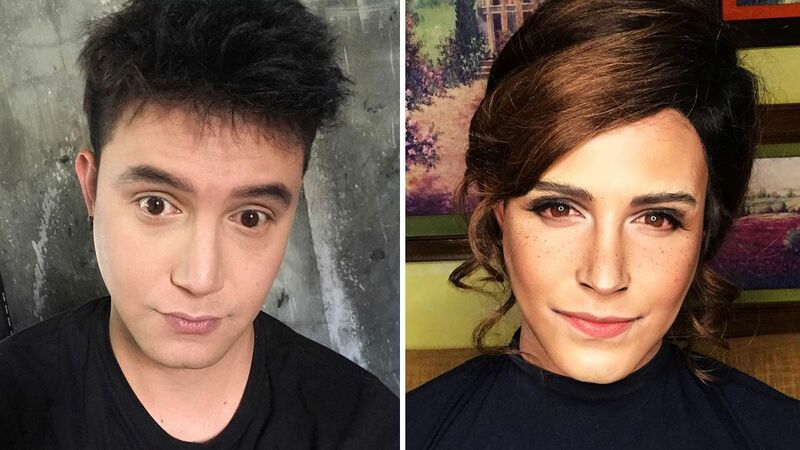 You Have To See Paolo Ballesteros Transform Into Emma Watson! Headlines, hot news, and conversation starters on August 15, 2017! 1 Paolo Ballesteros never fails to impress us with his makeup transformations, and his latest work as British actress Emma Watson is A-M-A-Z-I-N-G! It's no surprise that he caught the attention of US-based website, Refinery29: "Ballesteros nailed every detail about Emma—right down to her brow shape and freckles." 2 Dara Park and CL, both members of defunct K-pop girl group 2NE1, went to Palawan on July 22 for a quick getaway. They shared vacay pics on their respective Instagram accounts, and almost a month later, Dara posted a travel vlog. 3 Lili Reinhart and Cole Sprouse haven't confirmed that they are indeed dating, but their actions have been screaming, "YES." The two went on a movie date to watch Baby Driver on July 28, and on Cole's birthday, Lili posted a sweet Instagram message for him: "the man who has showed me more beautiful places in this past year than I have ever seen in my whole life." 5 It's time to burn some cash this weekend because Club Clio, the famous K-beauty brand, is holding their first ever Club Day, a one-day only sale on August 19 (Saturday) in Trinoma. Shop for your Clio, Peripera, and Goodal products for as low as 30 percent off!